S. C : Whether Rule 8D is retrospectively applicable? CIT, 5 Mumbai Vs. Essar Teleholdings Ltd.
Ashok Bhushan, J. – Delay Condoned. Leave granted. “Whether sub-section (2) and sub-section (3) of Section 14A inserted with effect from 01.04.2007 will apply to all pending assessments? 4. This appeal has been filed against the judgment of Bombay High Court dated 12.09.2011 in Income Tax Appeal (L) No. 947 of 2011 by which judgment the High Court has dismissed the appeal filed by the Commissioner of Income Tax following an earlier judgment of the Bombay High Court dated 12.08.2010 in the case of Godrej Boyee & Mfg. Co. Ltd. v. Dy. CIT 328 ITR 81/194 Taxman 203. The assessment year in issue is 2003-2004. The assessee (respondent in appeal) filed his return of income on 01.12.2003 declaring a loss of Rs.69,92,67,527/-. A notice under Section 143(2) was issued to the assessee. The Assessing Officer vide its order dated 27.03.2006 held that during the year under consideration, the assessee company was in receipt of both taxable and non-taxable dividend income. Accordingly, the dividend on investment exempt under Section 10(23G) was considered by the A.O. for the purpose of disallowance U/S.14A. Hence, proportionate interest relating to investment on which exemption u/s.10(23G) is available as per the working amounting to Rs.26 crores was disallowed U/S.14A r.w.s. 10(23G) of the I.T. Act. 5. The assessee filed an appeal, which was partly allowed by order dated 05.03.2009. The assessee filed an appeal before the ITAT. The ITAT allowed the assessee’s appeal relying on the Bombay High Court’s judgment in Godrej and Boyce Manufacturing Co. Ltd. (supra). The ITAT held that Rule 8D is only prospective and in the year under consideration Rule 8D was not applicable. ITAT set aside the order of CIT(A) and restored the issue back to the file of the Assessing Officer for de novo adjudication without invoking the provisions of Rule 8D. Against the order of ITAT, the revenue filed an appeal before the High Court. The High Court following its earlier judgment of Godrej and Boyce Mfg. Co. Ltd. (supra) dismissed the appeal. The Commissioner of Income Tax aggrieved by the judgment of the High Court has come up in this appeal. 7. Thus, in this batch of appeals, the only question to be considered and answered is as to whether Rule 8D of Income Tax Rules is prospective in operation as held by the High Court or it is retrospective in operation and shall also be applicable in the assessment year in question as contended by learned counsel for the revenue. 8. We have heard Shri Yashank Adhyaru, learned senior counsel, Shri Arijit Prasad, learned counsel for the appellant Shri S.K. Bagaria, learned senior counsel, Shri Ajay Vohra, learned senior counsel and other learned counsel have been heard for different assessees in this batch of appeals. 9. Learned counsel for the appellant (revenue) submit that provisions of Section 14A being clarificatory in nature and Rule 8D is a procedural provision which provided only a machinery for the implementation of sub-sections (2) and (3), Rule 8D is retrospective in nature. The machinery provisions by which the charging section is to be implemented or workable are to be given retrospective effect, which is co-terminus with the period of operation of the main charging provision. The charging section i.e. Section 14A admittedly being retrospective, the machinery provision, i.e. Rule 8D has also to be retrospective. 10. Learned counsel for the revenue has placed reliance on judgments of this Court, i.e.,CWT v. Sharvan Kumar Swarup & Sons 76 Taxman 620/210 ITR 886 (SC) ; CIT v. Gold Coin Health Food (P.) Ltd. 172 Taxman 386/304 ITR 308 (SC) and Calcutta Knitwears (supra). 11. Shri S.K. Bagaria, learned senior counsel appearing for the assessee refuting the submission of learned counsel for the revenue contends that provisions of Rule 8D are only prospective in nature. He submits that when a new liability is imposed by a statutory provision then the same cannot be retrospective. He submits that provisions inserted by Rule 8D are new provision for computing the expenditure which can in no manner be retrospective. He submits that Rule 8D was made applicable by Fifth Amendment Rules, 2008 providing in Clause 2 i.e. “they shall come into force from the date of their publication in the official gazette”. He submits that the Central Board of Direct Taxes vide its circular dated 28.12.2006 while explaining the substance of the provision of sub-sections (2) and (3) of Section 14A clearly mention that the aforesaid provisions were to be applicable from assessment year 2007-2008 onwards. Hence, Rule 8D, which is framed to give effect to the provisions of sub-sections (2) and (3) cannot operate from any date prior to assessment year 2007-2008. 12. Shri Ajay Vohra, learned senior counsel appearing for assessee submits that Rule 8D has been amended by Income Tax (14th Amendment Rules, 2016) w.e.f. 02.06.2016 by which a new methodology of computing the expenditure in relation to income which does not form part of the total income has been brought in place. In event, the argument is accepted that Rule 8D is retrospective, which rule shall hold the field, whether Rule 8D as inserted w.e.f. 24.03.2008 or one which has been substituted w.e.f. 02.06.2016? The amendment made w.e.f. 02.06.2016 reinforces that the methodology of computing the expenditure in relation to income which does not form part of the total income is prospective and has been change w.e.f. 02.06.2016, no other interpretation is permissible. He further submits that subordinate legislation is ordinarily prospective and Rule 8D being subordinate legislation can have no retrospective effect. Learned counsel for the assessees have also placed reliance on various decisions of this Court, which shall be referred to while considering the submissions in detail. 13. Shri S.S.H. Rizvi, learned counsel appearing for the assessee in Civil Appeal arising out of SLP (C) 16185 of 2016 submits that Revenue has already agreed before the ITAT that matter be remitted to Assessing Officer for fresh decision in light of judgment of the Bombay High Court in Godrej and Boyce Mfg. Co. (supra) hence, it had no jurisdiction to file an appeal before the High Court. He submits that High Court has rightly dismissed the appeal of the Revenue, relying on the judgment of the Bomabay High Court in Godrej and Boyce Mfg. Co. (supra) after noticing the fact that no interim order was passed by this Court in Special Leave Petition filed against the said judgment. It has been submitted by Shri Rizvi that no other question arose in the appeal before the High Court hence the Revenue has approached this Court by filing this Special Leave Petition without any basis. “(2) The Assessing Officer shall determine the amount of expenditure incurred in relation to such income which does not form part of the total income under this Act in accordance with such method as may be prescribed, if the Assessing Officer, having regard to the accounts of the assessee, is not satisfied with the correctness of the claim of the assessee in respect of such expenditure in relation to income which does not form part of the total income under this Act. “Under the existing provisions of the said section, it has been provided that for the purposes of computing the total income, no deduction shall be allowed in respect of expenditure incurred by the assessee in relation to income which does not form part of the total income under the Income-tax Act. It is proposed to number the said section as sub-section (1) thereof and to insert a new sub-section (2) in the said section so as to provide that the Assessing Officer shall determine the amount of expenditure incurred in relation to such income which does not form part of the total income, in accordance with such method as may be laid down by the Central Board of Direct Taxes by rules, if the Assessing Officer having regard to the accounts of the assessee, is not satisfied with the correctness of the claim of the assessee in respect of expenditure in relation to income which does not form part of the total income. It is also proposed to provide that provisions of sub-section (2) shall also apply in relation to a case where an assessee claims that no expenditure has been incurred by him in relation to income which does not form part of the total income. 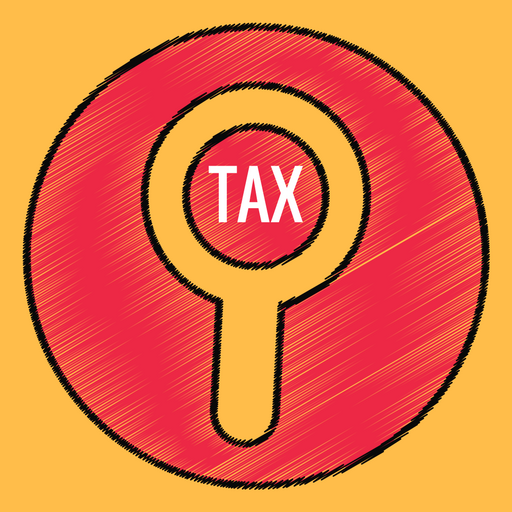 “11.1 Section 14A of the Income-tax Act, 1961, provides that for the purposes of computing the total income under Chapter-IV of the said Act, no deduction shall be allowed in respect of expenditure incurred by the assessee in relation to income which does not form part of the total income under the Income-tax Act. In the existing provisions of section 14A, however, no method of computing the expenditure incurred in relation to income which does not form part of the total income has been provided for. Consequently, there is considerable dispute between the taxpayers and the Department on the method of determining such expenditure. 11.2 In view of the above, a new sub-section (2) has been inserted in section 14A so as to provide that it would be mandatory for the Assessing Officer to determine the amount of expenditure incurred in relation to such income which does not form part of the total income in accordance with such method as may be prescribed. However, the Assessing Officer shall follow the prescribed method if, having regard to the accounts of the assessee, he is not satisfied with the correctness of the claim of the assessee in respect of expenditure in relation to income which does not form part of the total income. Provisions of sub-section (2), will also be applicable in relation to a case where an assessee claims that no expenditure has been incurred by him in relation to income which does not form part of the total income. “Method for determining amount of expenditure in relation to income not includible in total income. 22. After setting out the legislative scheme of Section 14A and Rule 8D, now, we proceed to consider the submissions raised by learned counsel for the parties on the question in issue. 23. The legislature has plenary power of legislation within the fields assigned to them, it may legislate prospectively as well as retrospectively. It is a settled principle of statutory construction that every statute is prima facie prospective unless it is expressly or by necessary implications made to have retrospective operations. Legal Maxim “nova constitutio futuris formam imponere debet non praeteritis“, i.e. ‘a new law ought to regulate what is to follow, not the past’, contain a principle of presumption of prospectively of a statute. ’28. Of the various rules guiding how legislation has to be interpreted, one established rule is that unless a contrary intention appears, a legislation is presumed not to be intended to have a retrospective operation. The idea behind the rule is that a current law should govern current activities. Law passed today cannot apply to the events of the past. If we do something today, we do it keeping in view the law of today and in force and not tomorrow’s backward adjustment of it. Our belief in the nature of the law is founded on the bedrock that every human being is entitled to arrange his affairs by relying on the existing law and should not find that his plans have been retrospectively upset. This principle of law is known as lex prospicit non respicit: law looks forward not backward. As was observed in Phillips v. Eyre6, a retrospective legislation is contrary to the general principle that legislation by which the conduct of mankind is to be regulated when introduced for the first time to deal with future acts ought not to change the character of past transactions carried on upon the faith of the then existing law. 29. The obvious basis of the principle against retrospectivity is the principle of “fairness”, which must be the basis of every legal rule as was observed in L’Office Cherifien des Phosphates v. 7 Yamashita-Shinnihon Steamship Co. Ltd. Thus, legislations which modified accrued rights or which impose obligations or impose new duties or attach a new disability have to be treated as prospective unless the legislative intent is clearly to give the enactment a retrospective effect; unless the legislation is for purpose of supplying an obvious omission in a former legislation or to explain a former legislation. We need not note the cornucopia of case law available on the subject because aforesaid legal position clearly emerges from the various decisions and this legal position was conceded by the counsel for the parties. In any case, we shall refer to few judgments containing this dicta, a little later. 31. The methodology for determining amount of the expenditure in addition to income not includable in total income was for the first time prescribed by Rule 8D as was envisaged in Section 14A sub-section (2) and sub-section (3). It is also relevant to notice that Constitution Bench in Vatika Township (P.) Ltd., (supra) has also referred to and relied the CBDT circular to find out the understanding of the Central Board of Direct Tax itself in context of Provision which was in issue in the above case. 32. Explanatory memorandum issued with the Finance Bill, 2006 and the CBDT circular dated 28.12.2006, thus, clearly indicates that department understood that sub-section (2) and sub-section (3) was to be implemented with effect from assessment year 2007-2008. The Rule 8D prescribing the method was brought into statute book with effect from 24.03.2008 to implement sub-section (2) and sub-section (3) with effect from assessment year 2007-2008, is clear indicator of the fact that a new method for computing the expenditure was brought in by the rules which was to be utilized for computing expenditure for the Assessment Year 2007-2008 and onwards. “1. (1) These rules may be called the Income-tax (Fifth Amendment) Rules, 2008. It is, however, well settled that the mere date of enforcement of statutory provisions does not conclude that the statute is prospective in nature. The nature and content of statute have to be looked into to find out the legislative scheme and the nature, effect and consequence of the statute. 34. The submissions which have been much pressed by the counsel for revenue is that the Section 14A of the Act being clarificatory in nature having retrospective operation, Rule 8D, which is a machinery provisions have also to be held to be retrospective to make machinery provisions workable. 35. It is to be noted that Section 14A was inserted by Finance Act, 2001 and the provisions were fully workable without their being any mechanism provided for computing the expenditure. Although Section 14A was made effective from 01.04.1962 but Proviso was immediately inserted by Finance Act, 2002, providing that Section 14A shall not empower assessing officer either to reassess under Section 147 or pass an order enhancing the assessment or reducing a refund already made or otherwise increasing the liability of the assessees under Section 154, for any assessment year beginning on or before 01.04.2001. Thus, all concluded transactions prior to 01.04.2001 were made final and not allowed to be re-opened. 36. The memorandum of explanation explaining the provisions of Finance Act, 2006 has clearly mentioned that Section 14 sub-section (2) and sub-section (3) shall be effective with effect from the assessment year 2006-07 alone which is another indicator that provision was intended to operate prospectively. 37. Learned counsel for the appellant have placed heavy reliance on a three-Judge Bench Judgment of this Court in Sharvan Kumar Swarup & Sons (supra). This Court in the above case had to interpret Rule 1-BB, inserted in Wealth Tax, 1957 w.e.f. 01.04.1979. For Assessment Years 1977-78 and 1978-79 assessment order was passed on 08.02.1983 by which time Rule 1 BB had been introduced in the Rule. The assessee contended that properties to be valued applying the Rule 1-BB. The claim was rejected and Assessing Officer had valued the immovable property independently of Rule 1-BB. 39. This Court in the above case held that Rule 1-BB shall be applicable even prior to the enforcement of the rule holding that the said rule merely provides a choice amongst well-known and well-settled modes of valuation. It was held that even in the absence of Rule 1-BB, it would not have been objectionable to adopt the mode of valuation embodied in Rule 1-BB, namely, the mode of capitalisation of income on a number of years purchased value. The said judgment is, clearly, distinguishable in context of issue which has arisen before us. In the present case, methodology as provided under Rule 8D was neither a well-known nor well-settled mode of computation. The new mode of computation was brought in place by Rule 8D. No Assessing Officer, even in his imagination could have applied the methodology, which was brought in place by Rule 8B. Thus, retrospective operation of Rule 8B cannot be accepted on the strength of law laid down by this Court in the above case. It was submitted that bare reading of the provision made the position clear that it was not necessary that income tax must be payable by the assessee as sine qua non for imposition of penalty. The word “any” made the position clear that the penalty was in addition to any tax which may be paid by the assessee. The above case is also clearly distinguishable and not applicable in the facts of the present case. It was held that amendments were clarificatory in nature, hence shall operate retrospectively. 43. There cannot be any dispute to the preposition that machinery provision of of taxing statute has to give effect to its manifest purposes. But the applicability of the machinery provision whether it is prospective or retrospective depends on the content and nature of the Statutory Scheme. In the above case, the Court was not considering the question of prospectivity or retrospectivity of the machinery provision, hence the above case also does not help the appellant in the present case. “36. In CIT v. Scindia Steam Navigation Co. Ltd., AIR 1961 SC 1633, this Court held that as the liability to pay tax is computed according to the law in force at the beginning of the assessment year i.e. the first day of April, any change in law affecting tax liability after that date though made during the currency of the assessment year, unless specifically made retrospective, does not apply to the assessment for that year. 46. The method for determining the amount of expenditure brought in force w.e.f. 24.03.2008 has been given a go-bye and a new method has been brought into force w.e.f. 02.06.2016, by interpreting the Rule 8D retrospective, there will be a conflict in applicability of 5th & 14th Amendment Rules which clearly indicates that the Rule has a prospective operation, which has been prospectively changed by adopting another methodology. There is no indication in Rule 8D to the effect that Rule 8D intended to apply retrospectively. 48. Applying the principles of statutory interpretation for interpreting retrospectivity of a fiscal statute and looking into the nature and purpose of sub-section (2) and sub-section (3) of Section 14A as well as purpose and intent of Rule 8D coupled with the explanatory notes in the Finance Bill, 2006 and the departmental understanding as reflected by Circular dated 28.12.2006, we are of the considered opinion that Rule 8D was intended to operate prospectively. 49. It is relevant to note that impugned judgment in this appeal relies on earlier judgment of Bombay High Court in Godrej and Boyce Manufacturing Co. Ltd. (supra) where the Division Bench of the Bombay High court after elaborately considering the principles to determine the prospectivity or retrospectivity of the amendment has concluded that Rule 8D is prospective in nature. Against the aforesaid judgment of the Bombay High court dated 12.08.2010 an appeal was filed in this court which has been decided by vide its judgment reported in Godrej and Boyce Mfg Co. Ltd. (supra). This Court, while deciding the above appeal repelled the challenge raised by the assessee regarding vires of Section 14A. In para 36 of the judgment, this Court noticed that with regard to retrospectivity of provisions Revenue had filed appeal, hence the said question was not gone into the aforesaid appeal. In the above case, this Court specifically left the question of retrospectivity to be decided in other appeals filed by the Revenue. We thus have proceeded to decide the question of retrospectivity of Rule 8D in these appeals. 50. In view of our opinion as expressed above, dismissal of the appeal by the Bombay High Court is fully sustainable. As held above, the Rule 8D is prospective in operation and could not have been applied to any assessment year prior to Assessment Year 2008-09. 51. In result, all the appeals filed by the Revenue are dismissed. This entry was posted in Section 14A and tagged 401 ITR, In favour of Assessee, Rule 8D is Prospective, Supreme Court Of India.